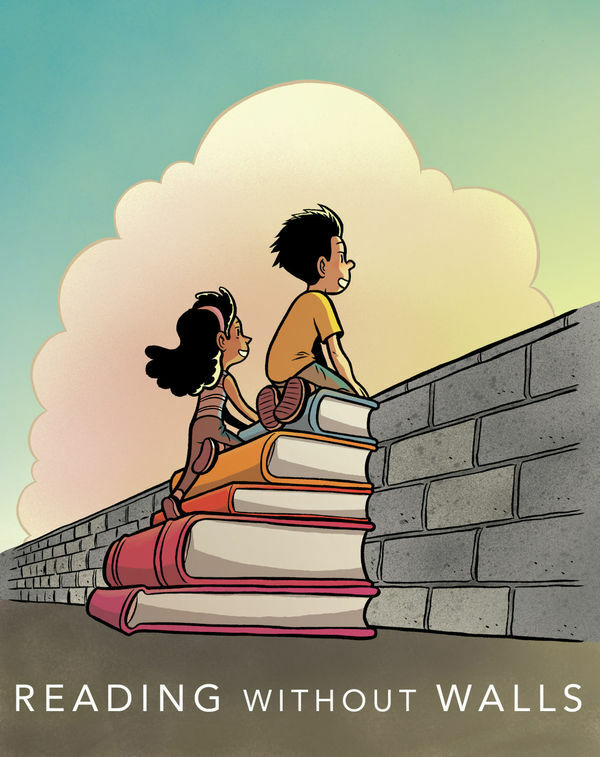 A couple of years ago, my ShelfTalker colleagues and I all participated in Gene Luen Yang’s Reading Without Walls Challenge. For my turn, I confronted my well-ingrained resistance to graphic novels and found no good reason for my reluctance at all. Prior to the challenge, I had loved the spectacular visuals of books like The Arrival by Shaun Tan or The River by Alessandro Sanna, but my brain sort of fritzed out when a lot of words in boxes entered the picture. But something about concentrating my attention on several graphic novels back to back really did start to retrain my brain. Taking the time to write about them only cemented the experience. Two years later, I’ve realized that I actually gravitate to the graphic ARCs first when the publisher boxes arrive. Fantastic middle grades like the recently released New Kid by Jerry Craft and the upcoming Queen of the Sea by Dylan Meconis make it easy, charting complex territory with fascinating characters and rich, full-color imagery. But while I’ve fully embraced the power of the visual medium, I admit I still eschew stories centered on the ups and downs of falling in love (in any format). Don’t get me wrong, YA needs those books. After all, falling in and out of love while staying true to yourself is one of the most confus ing parts of being a teen—or an adult for that matter. It’s just never been my favorite thing to read. However, as I looked over my stacks of ARCs this week, I spotted a trio of romance-heavy graphic novels from First Second that made me decide to push past my natural inclinations once more. 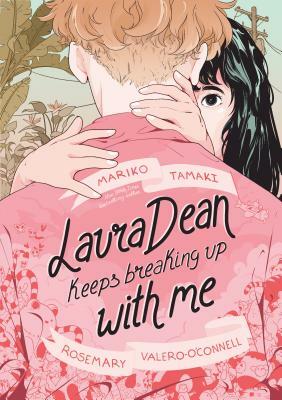 Laura Dean Keeps Breaking Up with Me by Mariko Tamaki and Rosemary Valero-O’Connell (releasing May 7): Completely enamored of the titular bad girl, our protagonist Frederica has so many stars in her eyes that she can’t see straight. Even as her self-worth plummets, Frederica just can’t resist the powerful pull of confident, charismatic, callous Laura Dean—not even when her best friend needs her the most. Black and white illustrations punctuated with pink highlights lend a deceptively sweet, romantic look to this portrait of a girl struggling to find the strength to release a relationship gone wrong. This novel perfectly captures the all-consuming, intoxicating haze of first love, beyond which everything pales (and suffers). 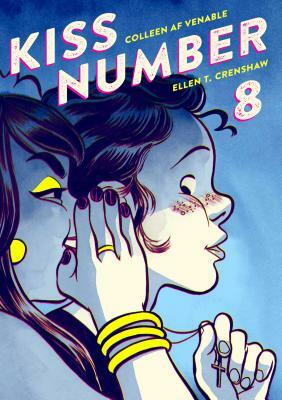 Kiss Number 8 by Colleen AF Venable and Ellen T. Crenshaw (released March 12): Interspersed between the incidences of Mads’s first 8 kisses, lies the story of how she gets to the one that changes everything—the one where she kisses her friend Laura and everything goes wrong. The one after she realizes she’s in love with her best friend Cat, who doesn’t love her back. The one right before she learns the full truth about her grandmother’s exile from the family and subsequent life as a trans man. Figuring yourself out is hard enough, let alone your family, so I liked that the aftermath of all these revelations is a little messy. But as Mads uncovers secrets from the past, misunderstandings come to light that lead to much needed hope and healing in this poignant intergenerational exploration of love, loss, and identity. 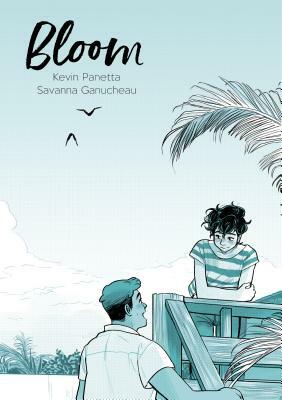 Bloom by Kevin Panetta and Savanna Ganucheau (released January 29): Recently graduated and intent on leaving home to pursue a future with his band, Ari must first hire a replacement for himself at his family’s bakery. When a young culinary student named Hector shows up, their shared love of baking quickly blossoms into friendship and then blooms into something more. I loved the incredible, swoon-worthy baking montages, but I also liked that the characters are allowed to be prickly and a little immature. Ari especially is realistically flawed, struggling to confront his friends when they are cruel, to own his shortcomings instead of blaming others, and to sort through his conflicted feelings about the future. This is both an adorable meet cute and an authentic portrayal of how hard it can be to figure out what you want and find the courage to go for it. Ultimately these three proved very complementary when read together in interesting ways. Exploring the euphoric highs of falling in love, the pain of shifting friend dynamics, and the challenge of staying grounded through it all, they each offer something a little bit different in content and style. And all three stories felt perfect for the graphic form. Through vignettes that transcend and complement the dialogue, moments of pure emotion are achieved without explaining anything at all. (Plus you don’t have to read through descriptions of all the kissing.) I’m sold! This entry was posted in Uncategorized on March 22, 2019 by Meghan Dietsche Goel.